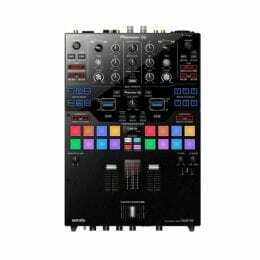 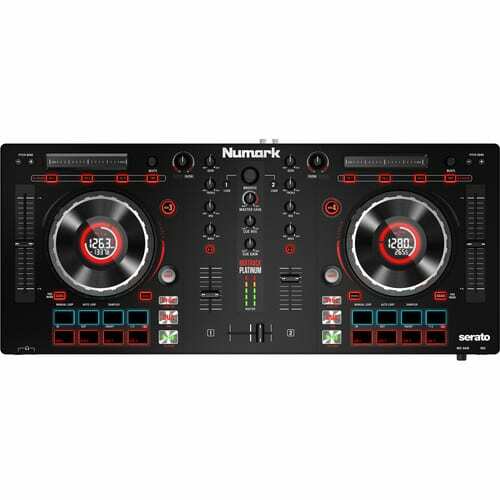 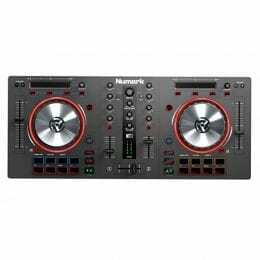 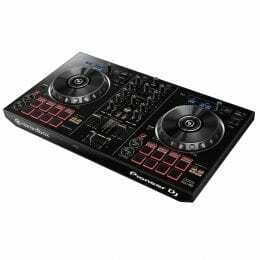 The Mixtrack Platinum from Numark is an all-in-one Serato controller featuring high-resolution LCD multi-function displays on each jog wheel, an integrated sound card, multi-function touch-strip for dynamic FX control and Strip Search operation, dedicated filter knobs for each channel, and independent transport controls for operational flexibility. 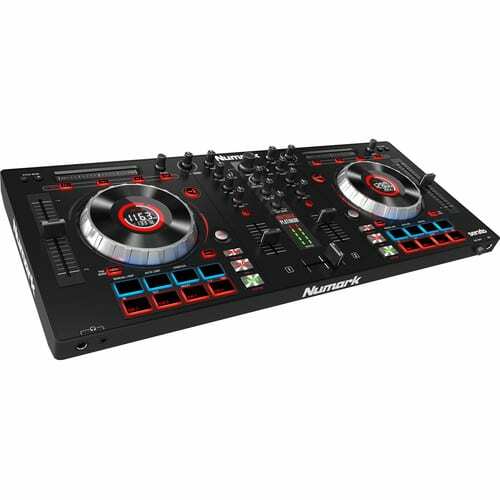 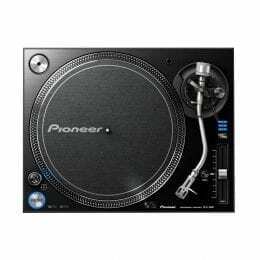 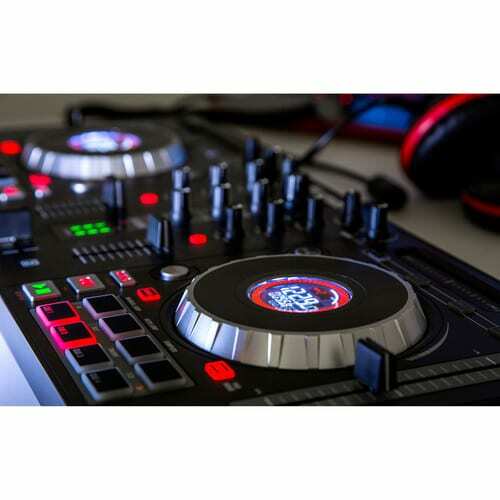 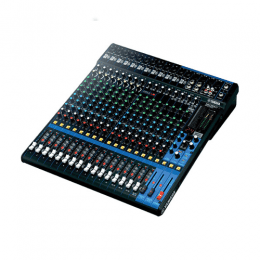 Additional features include 16 multi-functional performance pads, high resolution 5″ metal jog wheels with hyper-sensitive metal platters, and dedicated track browsing controls. 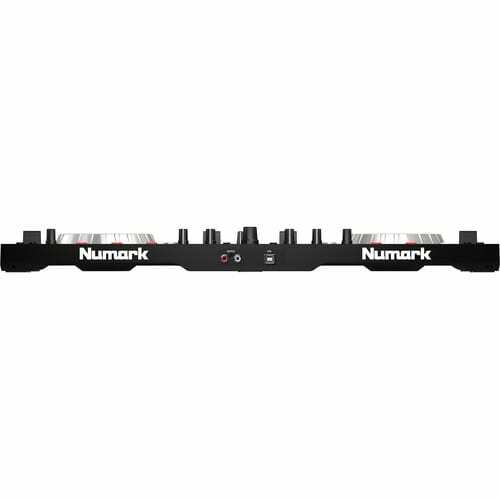 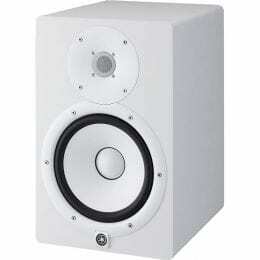 The 100mm pitch faders offer extremely accurate pitch adjustments for keeping two tracks in sync without drift. 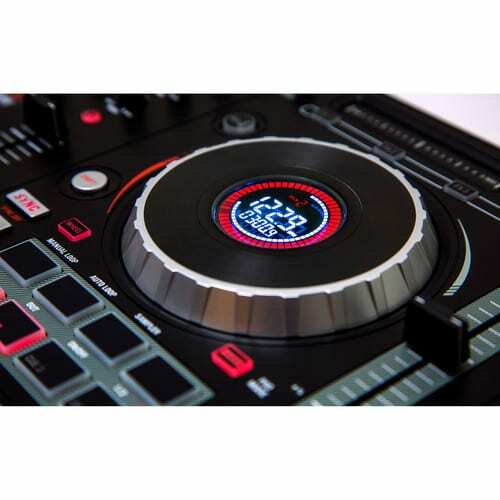 The Mixtrack Platinum offers 1/4″ & 1/8″ headphone outputs and ships with Serato Intro and the Prime Loops remix tool kit for adding loops and samples to live sets. 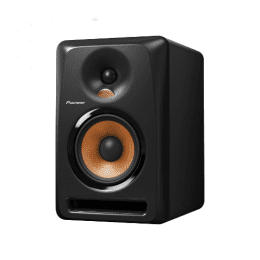 Box Dimensions (LxWxH) 24.5 x 12.0 x 4.0"